In English grammar, a modal is a verb that combines with another verb to indicate mood or tense. 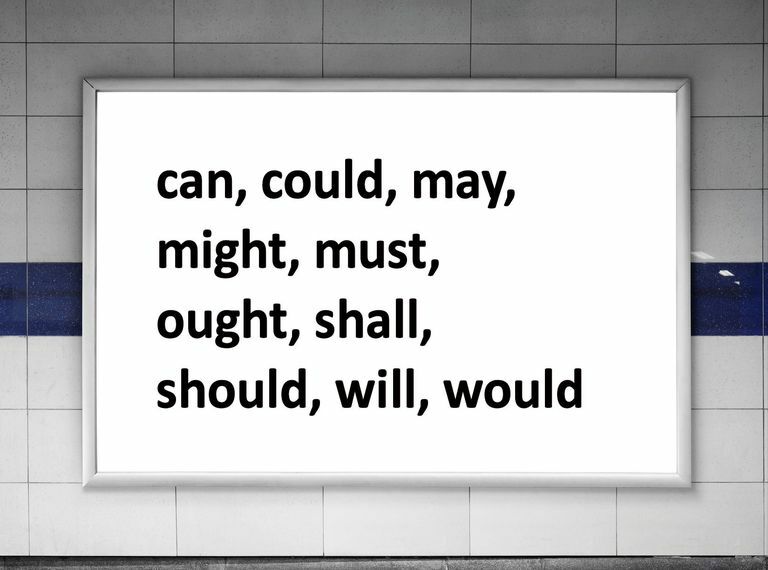 A modal (also known as a modal auxiliary or modal verb) expresses necessity, uncertainty, ability, or permission. To put it another way, modals are how we describe our worldview and articulate our perspective. I can sing. Bob can sing. They can sing. I had to sing. She had to sing. We had to sing. I have to take responsibility for my actions. She has to take responsibility for her actions. I don't need to take responsibility for my actions. He doesn't need to take responsibility for my actions. Kim is his sister. He told me so. Kim must be his sister because they look just like each other. In the first example, the speaker is making a statement as if it were a matter of fact. In the second example, the statement implies a degree of uncertainty, though not enough for the speaker to doubt its truthfulness. Both sentences convey a range of possibility. The bank closes in 15 minutes. We should go there now. You should go to the bank only if you need to get cash. In the first instance, the modal is expressing a strong degree of obligation. The speaker knows she needs to go to the bank if she wants to get there before it's too late. But in the second example, the speaker is offering a suggestion and a weak one at that. The speaker doesn't know whether his friend needs cash, so he can only offer a conditional opinion. "When I was younger I could remember anything, whether it happened or not." "She thought, I must hurry before the robbers come." "[G]overnment of the people, by the people, for the people, shall not perish from the earth." Carter, Ronald; McCarthy, Michael; Mark, Geraldine; and O'Keeffe, Anne. "Modality, Meanings and Uses: From English Grammar Today." Dictionary.Cambridge.org. Sponaugle, Brittani. "Modal Verbs: Express the Function of a Verb." Udemy.com, 12 June 2014. What Is Modality in Grammar and Semantics?